All Union City homes currently listed for sale in Union City as of 04/23/2019 are shown below. You can change the search criteria at any time by pressing the 'Change Search' button below. If you have any questions or you would like more information about any Union City homes for sale or other Union City real estate, please contact us and one of our knowledgeable Union City REALTORS® would be pleased to assist you. "Master bedroom Downstairs! Gorgeous 3-car garage home in desirable Heritage Pointe community! Welcomed by soaring dramatic ceilings and a spacious open floor plan. Huge family room with a gas fireplace. Elegant master suite with large en-suite includes two walk-in closets. Mature Front and back landscaping with over 10 kinds of fruit trees. Walk a few minutes around the beautiful community you will be on Alameda Creek walking trail. 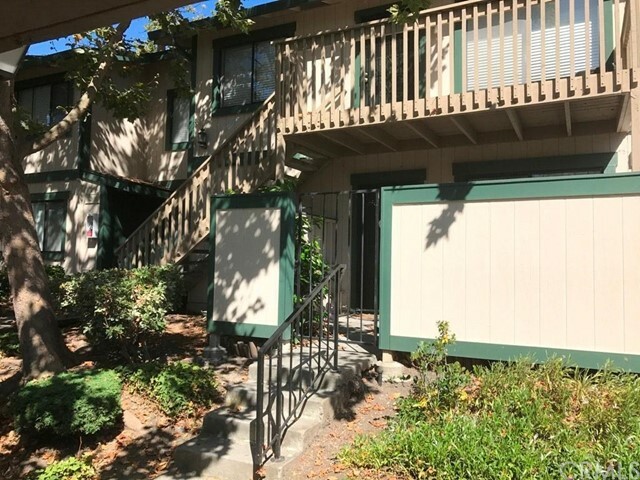 Great location near I-880/84/92, BART, shopping, restaurants & Union Landing." "Beautiful Ryland home with 3 car garage, new floor and carpet, large loft area + 300 sqft patio room for entertainment. Bright and spacious living room with high ceilings. Separate family room with a fireplace. Gourmet kitchen with stainless appliances and lots of cabinets. Breakfast area facing back patio. Large master suite with two walk-in closets. Roomy guest bedroom with bay window. If you prefer a bedroom downstairs, consider coverting the 3rd garage space to a bedroom. Huge court lot with a professionally landscaped back yard. Conveniently located close to shopping plazas and Melanie Eastin elementary school. Walking distance to Farmers Market, Union City Sports Center, movie theaters, restaurants, etc. Easy access to I-880/84/92, Alameda Creek Trail, Coyote Hills & Union landing." "Contemporarty stunning victorian -style. Tall dramatic ceilings & an abundance of natural light. Remodeled gourmet kitchen with custom exotic finishes. Added patio room great for entertaining.Rich Brazillian cherry wood floors, Remodeled bathrooms. Contemporary colors and plush carpet. Easy access to restaurants, shops, I-880/84/92, Alameda Creek Trail, Coyote Hills &Union landing. Buyer to assume solar lease. 2,310 Sq Ft includes patio room which was added by previous owner with permit. County record not updated . #1 Delaine Eastin Elementary!" "Highly desirable but rarely available home in the gated community of Meridian Court. Spacious and light-filled house comes with 2,331 sf of living space, 5 bedrooms, 3 full baths and is in move-in condition. Main level features open and airy living room w/ vaulted ceiling, comfy family room w/cozy fireplace, one bedroom and a full bath (great for guests and/ or in-laws). Gourmet kitchen w/ island has granite counters and cabinets galore. Upper level features master suite, 2 more bedrooms and den/office (5th bedroom). Luxurious master suite has two-way fireplace where you can enjoy a relaxing bath next to the fire. Newer garage door. Low maintenance backyard. Community has pool (across from gate), park and playground (Meridian Cir & Mallorca Way) and trails nearby. Union Landing Shopping Center is within walking distance. Easy access to freeway 92/84/880 and Facebook is within 15 miles. What are you waiting for?! Open Sun 4/7, 2-4:30pm"
"WELCOME HOME, YOU HAVE ARRIVED AT YOUR DESTINATION. AMAZING CURBE APPEAL AND TRUE PRIDE OF OWNERSHIP. MOVE IN READY. THIS 4 BEDROOM 2 BATH HOME BOASTS A BEAUTIFUL OPEN FLOOR PLAN AND 3 SKY LIGHTS FOR NATURAL LIGHT AT THE ENTRANCE. HOME IS LUXURIOUSLY UPGRADED WITH TILE AND LAMINATE FLOORS THROUGHOUT INCLUDING IN THE BONUS ROOM. THE AMPLE DINING AREA IS NICELY COMPLIMENTED WITH AN ELECTRIC DETACHABLE FIRE-PLACE. IT HAS A KITCHEN ISLAND AND MANY BEAUTIFUL KITCHEN CABINETS. BOTH BATHROOMS ARE UPGRADED. HOME HAS RECESSED LIGHTING, CROWN MOULDING, 3 SKLY LIGHTS, AND HAS ROOM FOR RV OR BOAT. ROOF 5 YEARS NEW." "Welcome to this beautiful contemporary single level home - only 15 yrs old! Convenient location and desirable neighborhood. Bright and airy with Vaulted ceilings, Formal living room with dining area, Dual pane windows, and Recessing lighting. Eat-in kitchen with backyard access to the sunny patio. The master bathroom offers a large soaking tub, separate shower stall, double sink vanity and spacious walk-in closet. Easy-care rear garden is perfect for entertaining. Total of 4-car parking spaces including 2-car side by side garage with interior access and additional 2-car side by side guest parking space on private drive way. Close to BART, fwys, schools, parks & shopping. Fabulous home with very clean inspection reports, WILL NOT LAST! OH April 27 & 28 1-4pm." "This single story home has a wonderful flow, spacious 3 bedroom 2 bath, master suite with large walk in closet. This home has step-down entry way with newer hardwood floors in living, dining, and family room. Family room flows off the kitchen. kitchen has a bar counter for that morning cup of coffee. Family room, with a wonderful fireplace which, steps into the bonus entertainment room. Then out to the patio. Home is located on a cut-de-sac, a block from the parK and 5 minute drive to Shopping and freeway. Bring your buyer who doesn't mind a little work to me this house the home they were looking for." "Move in condition, 4 bedroom 2 bath home. Nice street with fenced in back yard. Kitchen has newer cabinets with granite counter tops. Public records do not show second bathroom." "This is a MUST SEE! Location, Location, Location...this home is located across Liberty Park and close to Alvarado Elementary and Middle Schools. What A Gem! New Roof and Gutters, New Garage Door, New Paint, Kitchen Cabinets, Sink, Counter Tops, Appliances, Refrigerator too. New Laminate and Carpet Flooring throughout. Bathroom Updated with New Counter Tops, Painted Cabinets and Light Fixtures. Home also features: 2 Car Garage, Courtyard, Full Backyard with Side Entry Walk Way." "Take this wonderful opportunity to live in a recently renovated 3 bedroom town home with a great location in the heart of Union City. Just off of Union City Blvd. that gives you access to street parking while still being part of the community. Great floor plan with a half bath downstairs, 3 bedrooms and a full bathroom upstairs, perfect for a starter home. Features include: Recently renovated kitchen with plenty of storage space, AND a new dishwasher. Dual pane windows throughout. Renovated upstairs bathroom with new vanities, and light fixtures with crown molding in the bedrooms. Low maintenance patio area is great for BBQs and leads to the detached 2-car garage. Delaine Eastin Elementary School and James Logan High School are local schools." "Location Location Location; Close to Facebook Fremont Campus Close to 880 and the Dumbarton Bridge which is right by Facebook headquarters , Stanford University, Tesla. Move in ready!! Close to shopping Ideal location. Walk to Park." "Newly updated Townhouse in a very quiet and decent community. Brand new kitchen, bathroom, floor and freshly painted! High end upgrades throughout this bright home. Great floorplan with one bedroom downstairs and two bedrooms upstairs. Enjoy a cup of tea at the private patio with lemon tree. Only 0.8 mile to the bart station and easy access to public transportation, shops and parks. Dont miss out on this rare find opportunity! 3D tour and floorpan available!" "2 bed 2 bath with attached 1 car garage. ( washer / dryer inside the garage) New Paint, Laminate floor. Amenities include recreation center, swimming pools, fitness rooms and play grounds. Close to Shopping , restaurants, BARTS stations, hiking trails. Close to HWY 880 , Freeway 84"
"Newly remodeled townhouse. Move In Ready. This marvelously remodeled unit is equipped with laminate wood flooring and salerno porcelain tile - Moderna collection, in-unit laundry with washer and dryer-included, carport and storage, great location, hiking, biking, trails, shops and schools nearby, easy access to 84, i-880, and hwy 92 Significant improvements: - new dual-pane windows - new vanity cabinet for upstairs bathroom - new carpet - new water heater - new appliances - new stove - new dishwasher and much more." "Beautiful and cozy condo located in Union City. 2 bed 1 bath. Brand new flooring and fresh paint in this unit. Everything you need with great shopping and the 880 interstate a few minutes drive away. Community is nestled along gorgeous rolling hills with scenic walkways throughout while being quiet and peaceful. There is also a clubhouse pool with bbq pit you can enjoy for years to come, this property is a must see"
"Beautifully renovated condo, top floor unit. Close to Union Landing Shopping Center. Located near new Facebook Fremont Campus. Beautiful laminate floors, renovated kitchen, eat-in kitchen. Master bedroom with walk-in closet and updated bathroom. Washer/dryer hook ups inside unit. Conveniently located right off of 880 and Alvarado Niles."